Activity app notifications can get annoying, but when worded positively, they help instill discipline. This is part of a series on losing 60 pounds with the help of the Apple Watch. I'm currently 10 pounds down since July 25. 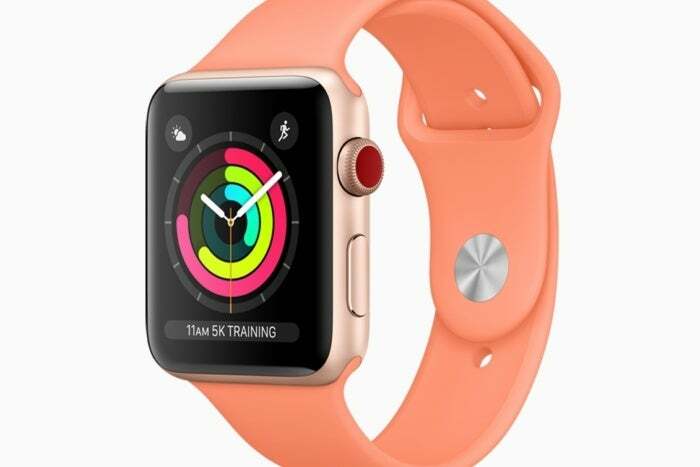 In this post we'll talk about the Apple Watch as a weight loss motivator. Ask anyone on the street if they like being nagged, and I’ll bet they’ll tell you no. (In fact, I’d bet many of them would accuse you of nagging on the spot.) So it’s a bit of a shock that so many of us willingly saddle our wrists with the Apple Watch, a device that pesters us relentlessly on the default settings. Here’s a typical day: Leif, you need to stand up more. Leif, you haven’t walked as much today as you normally do. Leif, you have a new email. Leif, dammit, you need to Breathe. Describe these interactions in terms of people, and you’re probably dealing with a toxic relationship. But now that I’m fully committed to losing weight again, I find I’m kind of fond of the watch’s Activity notifications. In fact, I find it’s best to keep them front-and-center by setting my watch face to Apple’s Activity display, so every time I look down I find my unclosed rings quietly judging me for not walking enough. Always in sight, always in mind. I know I need it. Without quantitative stats, I can easily convince myself I’ve walked enough for the day, as when I come home huffing and puffing after tromping over the steep hills around my home, thinking that surely I’ve burned enough calories. But the Apple Watch tells the hard truth, or a reasonable approximation of it. When I’ve been sitting on my rear for too long, it tells me, "Time to stand!" When I’m almost ready to hop in bed, I’ll get the tap reminding me I still haven’t reached the reasonable 700-calorie goal I set. And so I’ll trudge out and walk out the remaining bits, even if it’s so late that the few neighbors I see seem ready to call the cops on the briskly walking dude in a hoodie. I’m pretty sure I never look as cool as the folks in Apple’s recent "Close Your Rings" commercials, but I always look forward to the burning, spinning wheel that pops up when I do it right. 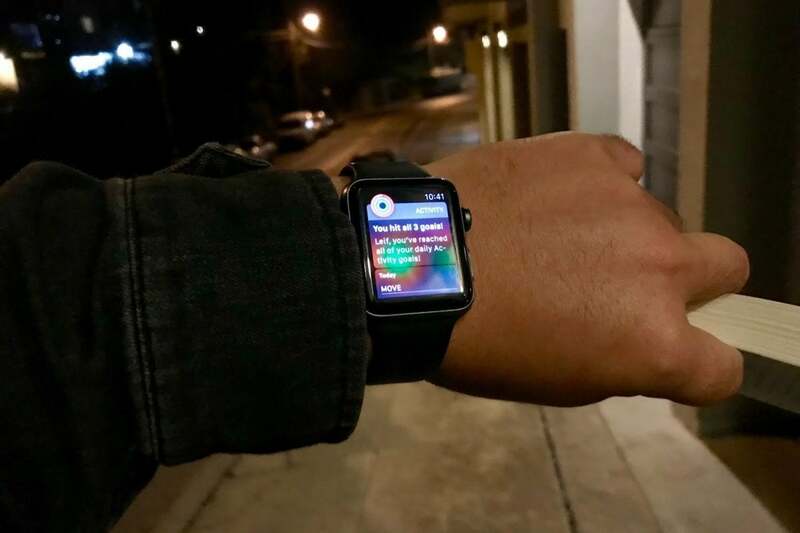 The Apple Watch’s little nags keep me motivated, sometimes even to the point where I merely keep active throughout my day to keep the timepiece from bothering me later. I’m using terms like "pester” and "nag," and yes, that’s what the Apple Watch’s notifications feel like on this end of a massive weight loss push. I’m sure it’s different when you’re already a ripped cocktail of muscle and adrenaline, but it reminds me how limiting my habits remain. Yet it could be worse. Apple doesn’t get enough credit for the friendly tone of the Apple Watch’s activity notifications. It's better to have its chipper reports than a cold, deadpan delivery critiquing your failure. Such bluntness stinks of disgusted disapproval. If I saw "You failed to reach your goal," I’d probably find myself thinking of sneering coaches who mocked me under their breath. Real talk: That kind of thing is never as motivating as they’d like to think. Instead, the Apple Watch is the Supportive Dad, cheering you on in an offbeat sport off your choosing. It applauds, it encourages, but it’s respectful enough to let you figure out how to reach your goals on your own. It’s upbeat even in failure, as its judgements look something like this: "You only closed your rings on three days this week; let’s see if you can do better next week." It’s a kind friend—a blessing in weight loss: an activity that’s always made easier with someone who’s sharing your ordeals. 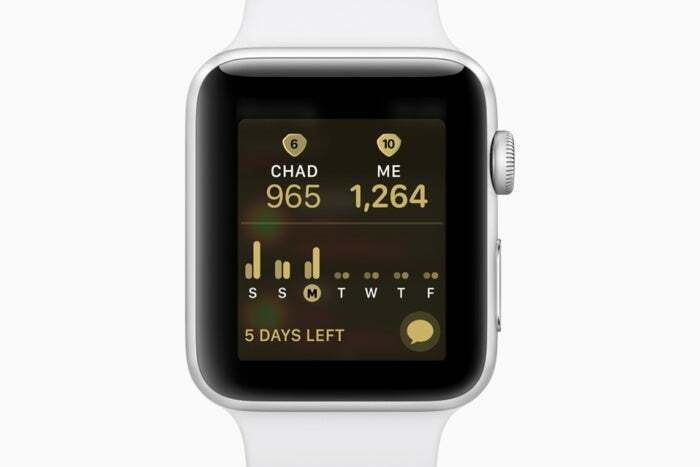 Better still if you have a real friend with an Apple Watch to enhance that playful nagging. I only have one with whom I share my stats through the Activity app, but few things compel me to close my rings quite like the announcement that he’s closed his before me. I like to beat him when I can. It helps me to know someone’s watching—someone I care about. It gets better: With watchOS 5, you can challenge those friends to week-long competitions. In fact, in my weakest moments, I find myself wishing the Apple Watch nagged me more. The Apple Watch is almost entirely focused on your exercise performance, and in terms of weight loss, that doesn’t solve the core problem of watching what you eat. My imagination sometimes veers close to science fiction when I imagine the possibilities of the GPS and additional monitors in a special "weight loss" mode. "Leif," the watch would say, with its firm tap-tap on the wrist. "It looks like you’re walking into a pizza parlor. Are you friggin’ insane?" Or perhaps it could warn me when it sees too much sugar pumping into my bloodstream. "Are you seriously drinking a Coke? Spit it out! Spit it out!" The mere fear of this would make me an ascetic within a week. 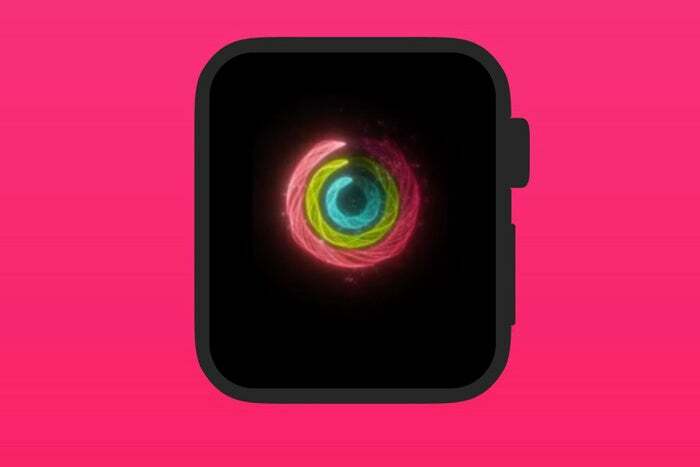 I often hear people going on about how the Apple Watch "gamifies" the weight loss experience with its focus on closing three rings for movement, exercise, and standing. It’s true that closing the rings looks a bit like filling an XP bar in a game like World of Warcraft. It’s even got achievements! Being a fan of fantasy RPGs, I should be absolutely nuts about this. But it just doesn’t work that way for me. Yes, even if I try to imagine my "epic loot" being the slick new clothes I’ll be able to wear once I reach my target weight (or my "level cap," to shove the metaphor into eye-roll territory). Yes, even when I try to tell myself that going out and walking a few boring laps around the neighboring blocks is like "grinding" enemies until I hit the next level. (See? I’ve really tried.) It’s a near perfect analogy, and I’m sure it works for some people. I envy them. Me? Experience bar or no, I just can’t bring myself to get excited about hoofing around the block in the same way that I look forward to clobbering digital zombies with an eight-foot sword. The nagging, though? That works. I may get some hell for this, but I believe nothing got me into this mess quite like a selective lack of discipline, and the Apple Watch’s frequent admonitions rein me back into the proper mindset. Even Apple's marketing team has a hard time closing the Stand ring. Games, on the other hand, usually don’t pester you for not reaching the next level. The Apple Watch, though, is constantly urging you to cross the finish line, that you did a good job closing all your rings yesterday, that you’re halfway through the monthly challenge. "Leif, you’re so close to closing your Move ring," it’ll say. "A brisk, 14-minute walk should do it." And more often than not, I’ll do it. Sometimes the goal alone isn’t enough to motivate me, but that friendly encouragement does the trick. At this point in my life, I need it, and I need it often. Maybe someday soon I’ll feel comfortable enough to switch off the notifications again, but for now it’s instilling a sense of discipline I’ve lacked for a while. Now if you’ll excuse me, I have a ring to close.